Table Tennis at Rio 2016 has officially begun, with the Men's and Women's Singles events getting under way at the the Riocentro – Pavilion 3. Brazil were hoping to see the advantage of home fan support give their players a boost. However, just one representative from the host country made it through to day two: 20-year-old Hugo Calderano. Last host nation player in the singles tournament: Hugo Calderano. Seven players from Latin American associated countries (ITTF classification) featured in the Men’s Singles competition to start with, now only one of those competitors remains in the draw. Marcelo Aguirre (Paraguay) Marcos Madrid (Mexico) and Brian Afanador (Puerto Rico) managed to negotiate their preliminary round matches against Australia’s David Powell, Vanuatu’s Yoshua Shing and Congo’s Suraju Saka, but none of the three players progressed any further, exiting to Jakub Dyjas (Poland), Wang Yang (Slovakia) and Omar Assar (Egypt) respectively. “I feel very good for winning that match. Andy Pereira is a strong and good player in Latin America.” Calderano added, “We know each other, so it is always strange to play against him, but I am very happy.” The Brazilian player was surprised to witness the extent of the fan support within the venue, “I wasn’t expected (sic) so many people in table tennis. It is a fantastic experience with everyone supporting me and saying my name.” Calderano will face Sweden’s Par Gerell in round two. Another Cuban was eliminated at the same stage as Pereira, with Jorge Campos missing out on a spot in round two to Eugene Wang of Canada (4-2). Out of the 12 athletes who entered at the preliminary round, only one qualified for round two of the Men’s Singles competition. “I have not played with him before, but prior to the match, I have heard about his playing style. I think the cheering from the crowd here gave him more pressure to win the match, and too much that he wasn’t able to play well today,” added Wang. There may have been some disappointment for Latin American players, but Europe on the other hand enjoyed a very successful start to the Men’s Singles. Finland’s Benedek Olah, who is making his Olympic debut, pulled off a great 4-1 win over Chen Feng (Singapore), while Great Britain’s Paul Drinkhall and Ovidiu Ionescu of Romania came out on top against Aleksandar Karakasevic (Serbia) and Nima Alamian (Iran) in their first round ties. 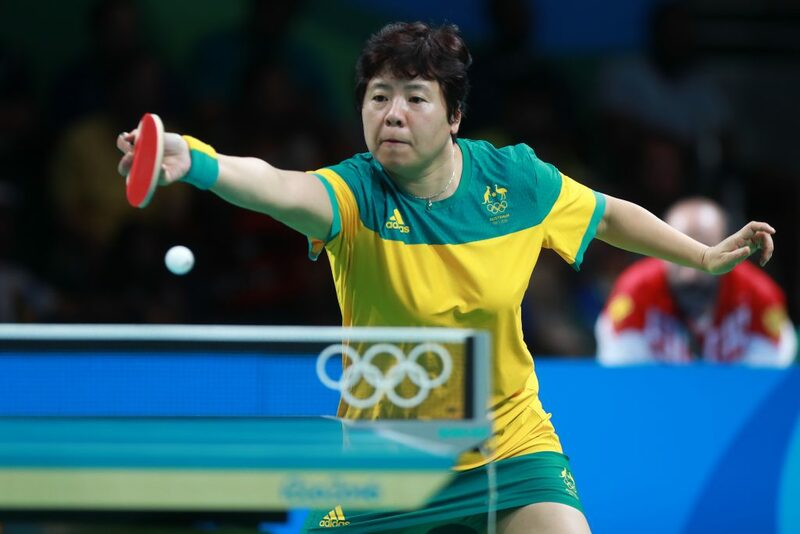 Australian contestant Jian Fang Lay (43), put in a wonderful showing in the Women’s Singles category by winning both of her opening day matches. Lay’s first tie went the full seven games distance, as her opponent from Russia, Maria Dolgikh pushed Lay all the way, but it was the lower ranked player from down under who prevailed (11-6, 11-7, 8-11, 6-11, 12-10, 8-11, 11-5). 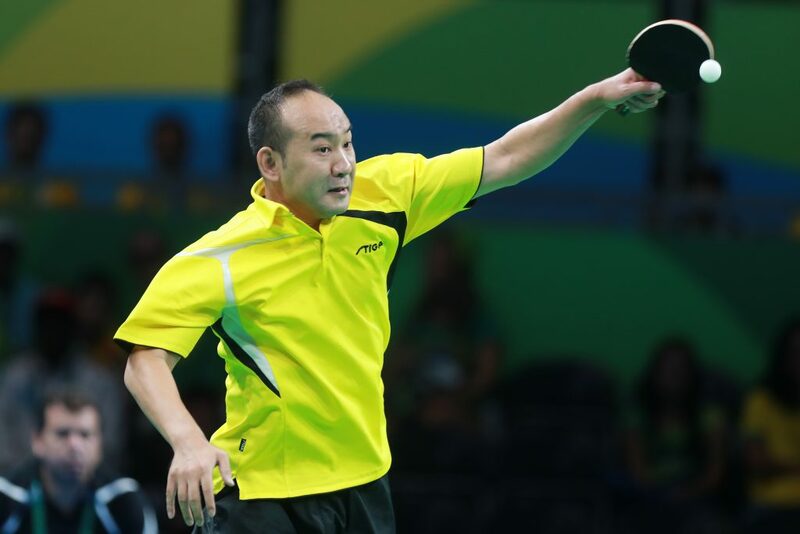 Performance Director and National Head Coach for Table Tennis Australia Jens Lang, was satisfied with the outcome of the match, “Patience, it was the only way she was going to win, It was not easy to maintain focus for seven games… There was all the noise from the Brazilian crowd with Gui Lin playing on the next table.” Jian Fang Lay then went on to beat Austria’s Sofia Polcanova in six ends to book her spot in round three. Nanthana Komwong and Suthasini Sawettabut both had days to remember, as the two Thai Table Tennis players advanced to round two of the Women’s Singles draw. Sawettabut’s encounter with Congo’s Han Xing went right down to the final game (4-3), as Han’s short pimples gave Sawettabut much to think about on the table,“It was really very difficult to play against Han Xing; she uses short pimples on the backhand and plays so fast”. “It was vital that I tried to top spin the ball as much as possible; at 10-9 in the seventh game I told myself to focus and stay calm,” added Sawettabut. Elsewhere, Lily Zhang looked in unbeatable form on day one as the USA international player won both of her singles matches 4-0.
.@usatabletennis‘ @lilyannzhang advances to the third round!! ? Venuzuala’s Gremlis Arvelo was up first, and it was completely one-way traffic for Zhang (11-3, 11-5, 11-5, 11-7). “I felt confident in the rallies and even though it was the first time I’d played against (Shao) I knew how to approach the match,” said Zhang, following her win against Shao.